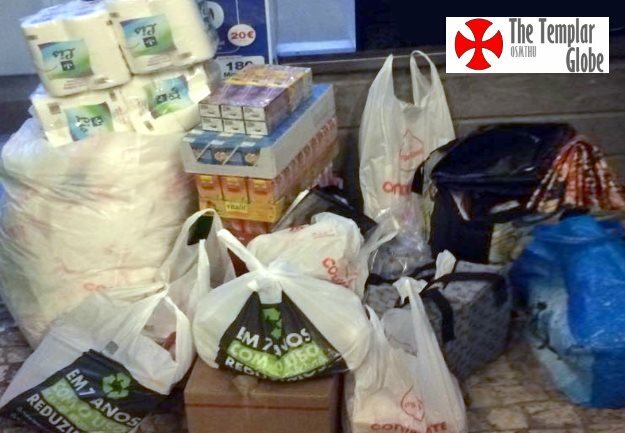 This 13 of October, 2014 the OSMTHU in Portugal remembered the martyrdom of the Templars by helping the less fortunate. In the last few weeks a spontaneous movement gained momentum: A Few Hours Dedicated to Your Fellow Man. 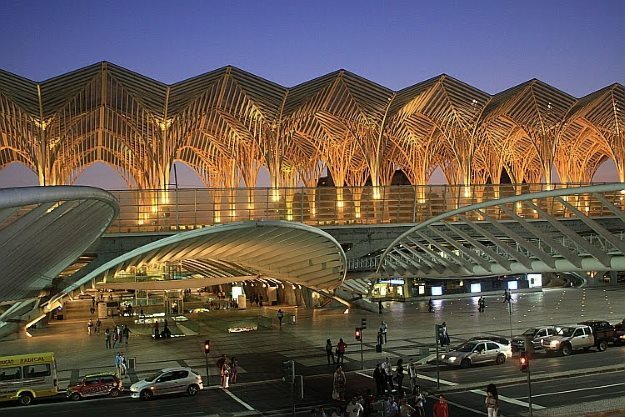 With the help and involvement of members of the Order, a growing group of anonymous people and most recently local celebrities, started gathering every Monday night in Lisbon’s iconic Gare do Oriente, the well known railway station designed by renowned Architect Santiago Calatrava for the 1998 World Expo and now the main transportation hub of the capital city. The railway/bus/underground station is sought after by homeless people that choose the architectural marvel to spend their night with a roof over their heads. And they are dozens. And dozens. Of all ages and backgrounds. Since the worldwide crisis reached Portugal and the national government was forced to ask for help from the IMF, the European Bank and the European Union, unemployment has risen to unheard-of numbers and salaries plummeted to a level where some people, although they still work, can’t make their ends meet for them and their families. All sorts of welfare support and pensions were cut down, leaving the most fragile in Portugal in a situation close to the most abject poverty, stripped of their livelihood and dignity. 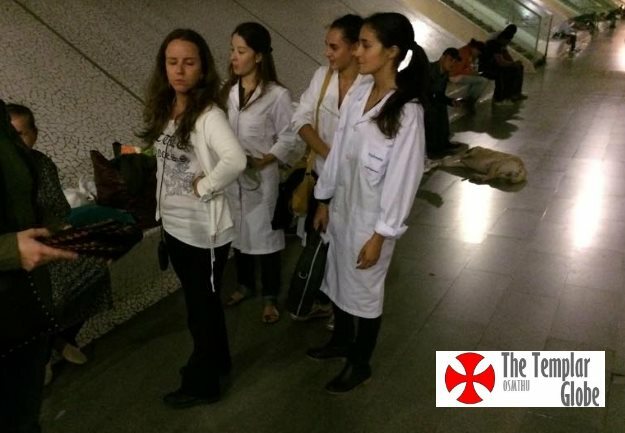 This last 13 of October, instead of a gala dinner event, a nice ceremony or a simple prayer, the Templars of Portugal decided to honor those fallen in France in 1307 by remembering those falling close to us who do not have the benefit to have access to a simple bed or the most basic food. This 13 of October we gave our time to help others. 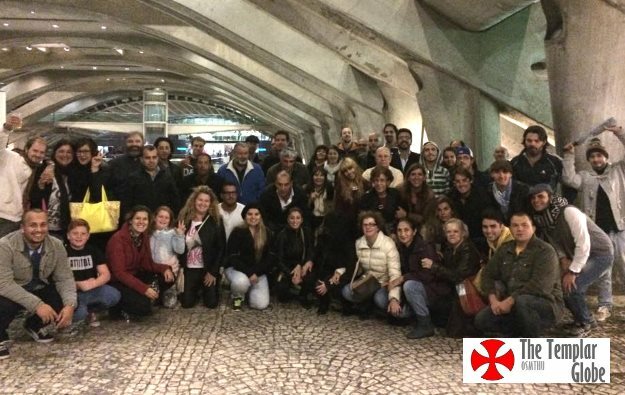 It was with a great sense of humility and compassion that the Portuguese Knights, Dames and Squires came to the Gare do Oriente, bringing food, first-need goods such as blankets, clothing, soap and hygiene products, and sat down with homeless men and women at a long table specially prepared in a local restaurant. They sat, they ate, they talked and heard firsthand the stories and misfortunes that seem to befall more and more people around them. Nobody dressed in regalia. There wasn’t even a Templar cross to be seen. Nobody tried to convert anyone else to a religion or way of thinking. They were all equals at the table and for a couple of hours the dream of a life without inequality was lived at that table. What better lesson could we teach our Squires that are ready to become more fully committed with the Order’s values and duties? Well, if you want to know, join us in Lisbon next Monday. Every Monday.